What are Military Criminal Investigations? A criminal investigation refers to the early stage in the military justice system where someone is suspected, but not yet charged or accused of an offense. Investigations may be initiated by military commanders at any level or military law enforcement agencies such as military police, military police investigators, the Army Criminal Investigation Division, the Naval Criminal Investigation Division, or the Air Force’s Office of Special Investigations. Whatever the investigating agency may be, being under investigation is a serious matter during which you must retain military counsel to protect your important legal rights. In most stages of the military justice system, an accused is afforded the right to detailed military defense counsel or appointed counsel at government expense. An accused may also retain private or civilian defense counsel at his or her own expense at the same stages to which he is entitled to detailed military counsel. In such circumstances, the accused may be represented by both detailed and retained counsel. However, this right to counsel does not attach until the accused has been criminally charged with an offense or offenses. The charging process is known in the military as the referral of charges. An accused is not afforded the right to counsel until charges are preferred. Persons in the military who are under investigation and have not yet been charged or accused of a crime do not have the right to counsel. This simply means they are not entitled to detailed military defense counsel or the appointment of counsel at government expense. However, such accuseds are not prohibited from retaining civilian counsel at their own expense. On the contrary, if you are a military service member under investigation for any reason, it is strongly advised that you seek private legal representation immediately by retaining civilian defense counsel. These rights include the right to not speak with or provide a statement to police. Many suspects are falsely led to believe that cooperating with police is the best course of action. This is not always the case. In some instances, cooperating with law enforcement can be beneficial. In others, cooperation can be extremely detrimental. However, it is important to know that you have an absolute right to not cooperate with police under any circumstances. The law allows the police to lie and to employ both deception and trickery in the course of criminal investigation. The police often deceive or mislead suspects into providing confessions or making incriminating statements. Police often tell suspects they just want to talk; you are not under investigation or arrest; you need to clear your name; or that confessing and coming clean will be beneficial in the forms of lenience, lack of prosecution, or victim healing. Police lure suspects into taking polygraph or lie detector exams. All of these tactics are designed to elicit incriminating remarks or statements against your interest, but in favor of the underlying police investigation designed to result in criminal charges and prosecution. Do not fall victim to these law enforcement methods. Statements by you to police of any kind may become evidence against you. Even the most innocuous or harmless statements on their face may later prove to be damaging at a criminal trial. Your silence, invocation of rights and gestures or mannerisms as observed by police may also be used against you. Retaining an experienced criminal defense attorney can protect your right against cooperating with authorities and making any incriminating statements or admissions. Your lawyer may serve as a barrier between you and the police, cause the police to stop contacting you, and shield you from even being in the casual company of police where they most successfully employ their best trickery. Having experienced counsel on your side during the course of an investigation will also protect your right to privacy against the police searching your person or property. Under the law, police generally need a warrant to search a particular location. Obtaining a warrant is not easy. Applications for warrants must be based on specific and reliable information to believe that evidence of a crime is located in the place desired to be searched. Because of this high burden, police often attempt to circumvent the warrant process by asking a suspect under investigation for his or her consent to search a particular area. You have the absolute right to refuse to provide the police with consent to search. This refusal is not evidence. It is your constitutional right to be free from such privacy invasions by police. However, many suspects feel bullied or compelled to give consent to search or feel if they refuse, such refusal will be viewed as evidence of guilt. This is not true, which underscores the importance of having a lawyer in your corner if you have been contacted by law enforcement and/or have reason to believe you are under investigation. A criminal investigation into a particular suspect only has two potential outcomes: the suspect is cleared from the investigation without any criminal charges or alternatively, the suspect is implicated in the crime resulting in charges, arrest and prosecution. Think of an investigation as a delicate scale. In many instances, the scale can be tipped in one of two directions: criminally charged or not. 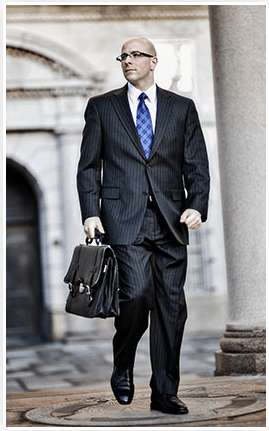 Retaining an attorney if you are under investigation is your best course of action. Having a legally trained advocate on your side and in your corner to interface with police, advise you of and protect your important legal rights, and assist with tipping the investigation scale in your favor will minimize the chances of you being criminally charged. If you are a military service member under investigation for any wrongdoing, call Civilian Military Defense Attorney John L. Calcagni III, Esq. for a free consultation today at (401) 351-5100.